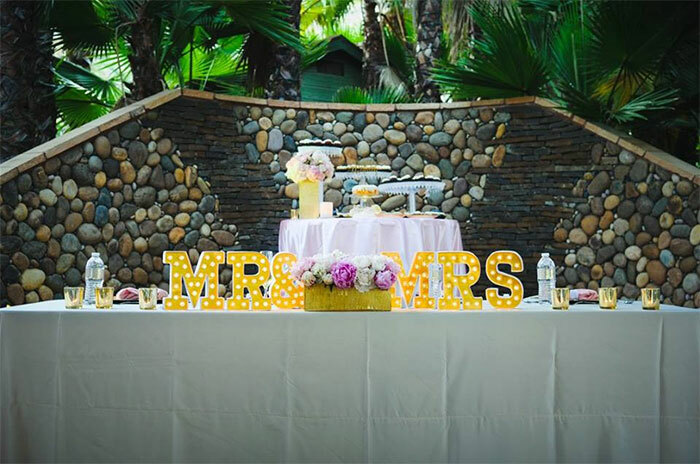 The natural beauty exuding from Stone Gardens was already outstanding, but then Kara and Taylor incorporated so many personal touches to the decor that really made this wedding special and super inspirational. There beautiful sweetheart table complete with lit Mr. & Mrs. letter signs and a low bouquet of peonies I’m sure got (even) more splendid as the sun set into night. 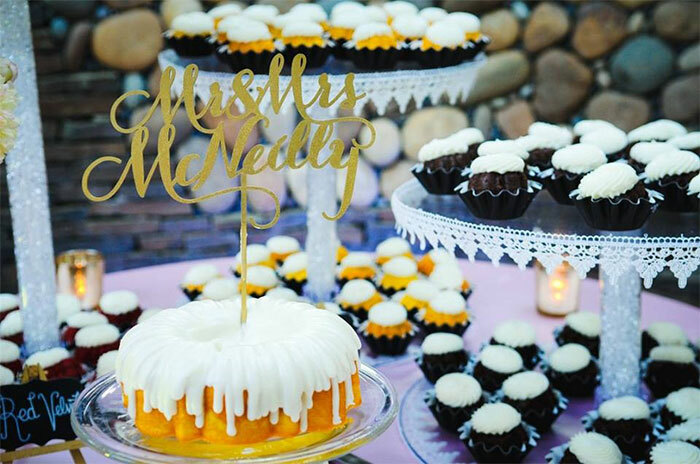 Behind their sweetheart table they had a sweets table complete with varying cupcakes on adorable cake stands and a little cake with a laser cut Mr. & Mrs. cake topper. 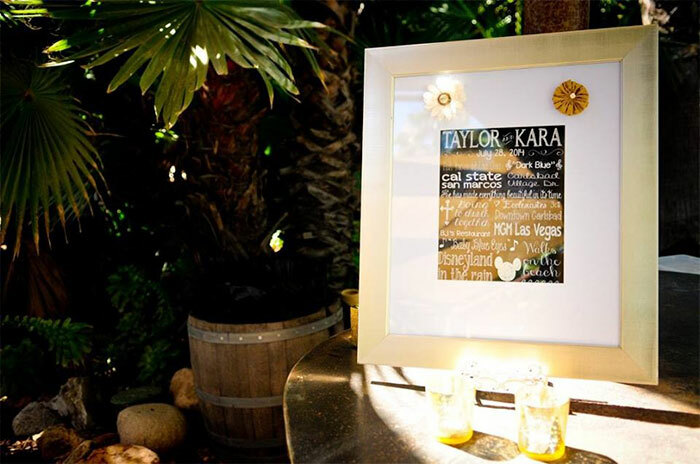 They also had some fantastic artwork displayed throughout their wedding that gave guests a glimpse of how they met as well as some photos of them dating. 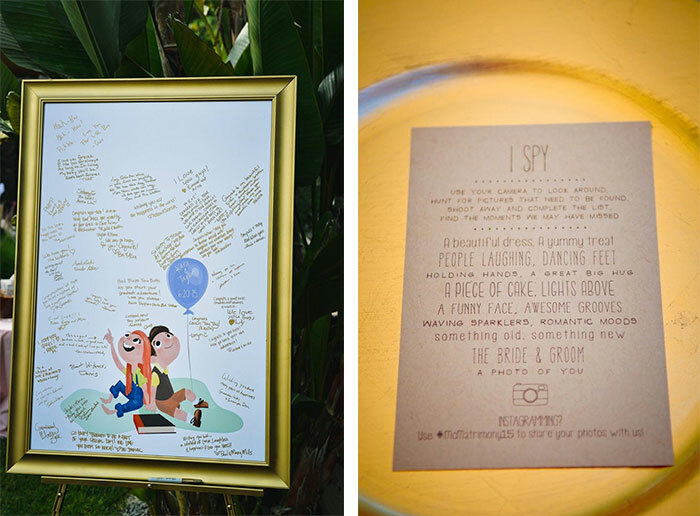 The bride’s friend illustrated the couple on the guestbook print as characters from the movie “Up”. 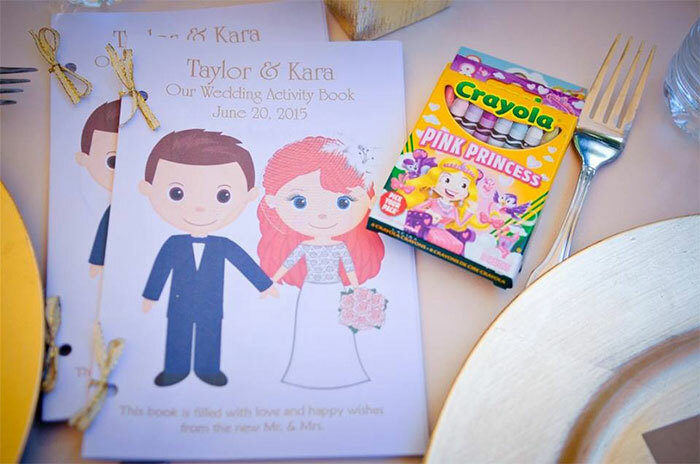 She also created personalized coloring books for the children’s table! Speaking of family tie-ins, if you have family and friends offering to help you for your wedding…take them up on it! 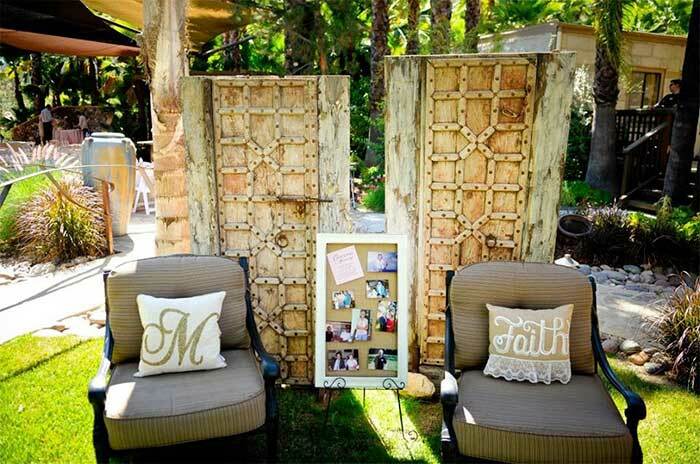 It is a great way to incorporate personal pieces into your wedding as well as making your entire wedding feel a sense of collaboration and connection. Another fun detail I hadn’t seen before was the Instagram game that was outlined at each guest’s place setting. 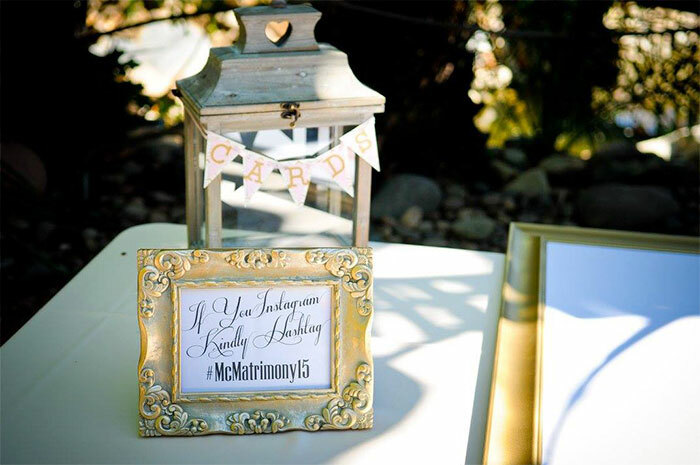 This wedding Instagram game outlined specific photos that people can capture with their cell phones and use their wedding hashtag to link it on social media. What a great idea! I’ve seen the wedding hashtags, but I really love how specific ideas were outlined to give guest’s an idea of what kind of photos to capture. 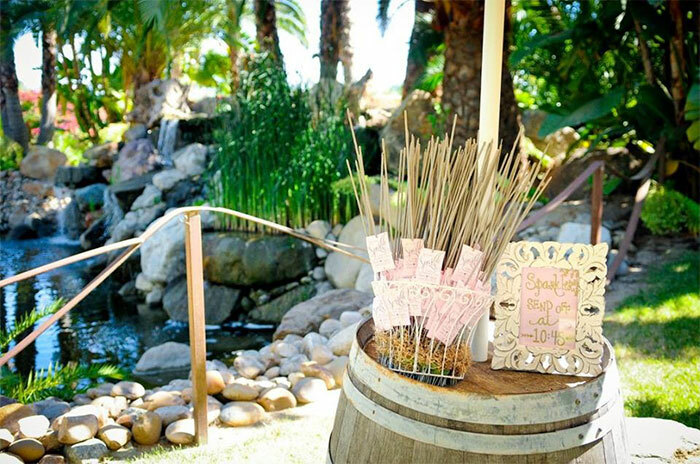 I also love the sparkler table send off with the time specified. That way guest’s that might want to duck out early for the night have a great reason to stay around and are aware of the timing of the sparkler send off. All in all I am so happy that I was involved with creating this couple’s hand-painted wedding invitations, and was able to share their incredibly personal and inspirational San Diego wedding with you all! In case you missed it, don’t forget to view blog posts featuring the bride’s Favorite Detail, Favorite Moment, and her Thoughts on her Wedding Invitation.